The governorship ambition of United Progressive Party, UPP governorship candidate in Imo State, Hon. Tony Nwulu, has continued to receive international backing and support. The latest to announce its commitment to Nwulu’s governorship bid in Imo State, South East Nigeria, is the Peoples Republic of China, a nation noted for its economic and industrial giant strides in the global economy. China has invested hugely in Africa in the mould of economic aid and support to African countries. Imo State is now on the verge of benefiting directly from such huge investment from China that would lead to economic turn around in the lives of Imo people when Tony Nwulu emerges the next Governor of Imo State. Announcing its resolve to invest in the State if Nwulu becomes Imo State Governor, the Chinese Ambassador to Nigeria,Mr. Zhao Yong, who visited the Federal lawmaker in his Abuja residence, revealed that Hon.Nwulu is the first parliamentarian and governorship hopeful the Chinese government has visited in Africa to show support. He said China had carefully taken note of his impressive performance in Nigeria’s Federal legislative arm of government and his impressive social and economic roadmap aimed at elevating Imo State as an economic giant in Africa. He promised that China will partner with a Tony Nwulu led UPP administration in Imo State when elected into office to invest in all sectors of the Imo economy ranging from Agriculture, infrastructure and manpower development,youth empowerment and development, tourism and education, health etc which will contribute to the overall development and growth of Imo State. He revealed that Imo State has boundless opportunities to be reckoned with in the global economy, assuring that with Chinese partnership with Nwulu, the State will soar. Mr. Zhao promised China’s commitment to assist Nwulu’s vision of making Imo State to be the biggest ICT hub in Africa, stating that such vision underscores his preparedness to take the State to the next level. He revealed that the people of China are in support of his aspiration and assured him of necessary support. In his remarks, Imo State born Nwulu who represents Oshodi/Isolo Federal Constituency in the House of Representatives assured the Chinese Ambassador that if elected Governor, he will make Imo State the next Silicon Valley. He promised that a UPP led administration in Imo State will partner with China to establish a Bilateral Trade Commission that will promote free flow of trade and enhance businesses between the people of the State and China. He recalled the role of China in the global economy and expressed optimism that Imo State will benefit hugely from an Imo- China Economic partnership that will place the State on the global map as a major economic hub in the World. The highlight of the visit was the presentation of Mezie Imo manifesto to the Chinese Ambassador by Hon. Nwulu. The visit of the Chinese Ambassador to Nigeria to Hon Nwulu is part of the governorship hopeful’s commitment to open the doors of opportunities in Imo State to the international community. The UPP Imo State governorship candidate has continued to engage the international community on the need to invest in Imo State if he is elected the Governor of the State on March 2nd, 2019. 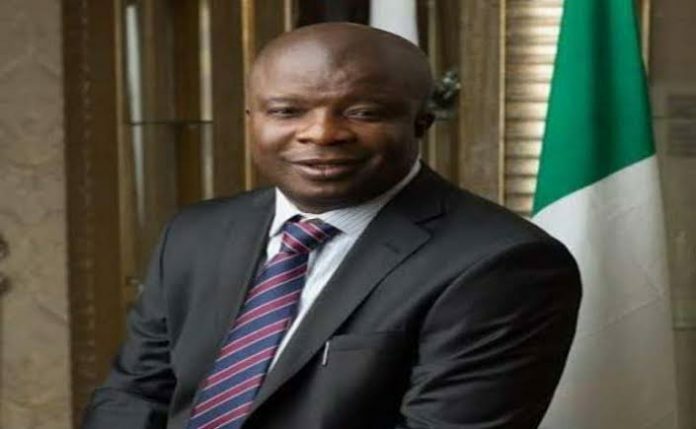 Nwulu who has identified the Asian tigers as a major success story in the global economy had opened talks with the Taiwan government on November 28th, 2018, on the need to tap into the enormous potentials in Imo State through partnership with his administration when he is elected Governor. He had hosted the Taiwan Head of Mission of Nigeria, Vincent Yang in his Abuja home. Last year, Nwulu was invited by the European Union, EU to Brussels, Belgium where he and EU parliamentarians discussed on vast investment opportunities in Imo State. The EU demonstrated their support to the governorship ambition of the Nigerian lawmaker and promised to partner with him to invest in Imo State when he becomes Governor.